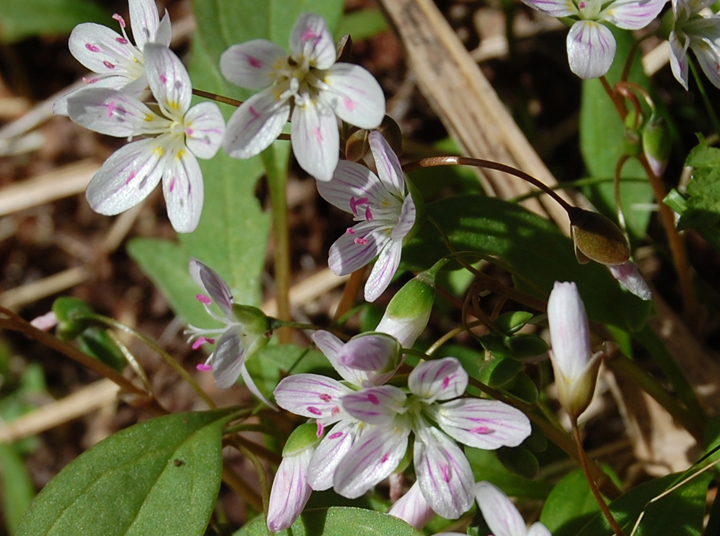 It has small white to pink flowers with pink veins and five petals. 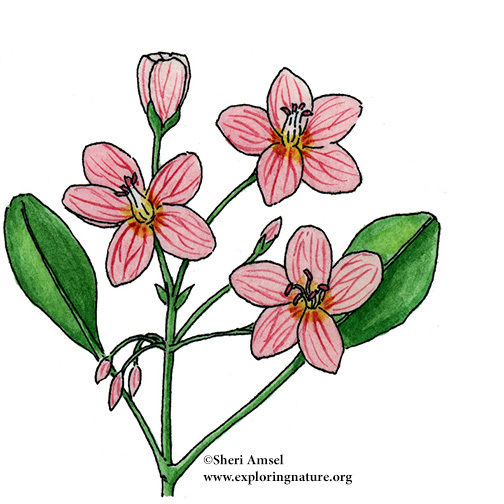 Each stem has a group (cluster) of flowers. Each stem has one pair of oval or long narrow leaves (leaf shapes show 2 different kinds). They bloom April through May.